Benjamin Daßler, Andreas Kruck, Bernhard Zangl 2018: Interactions between hard and soft power: The institutional adaptation of international intellectual property protection to global power shifts, in: European Journal of International Relations. Prevailing power transition theories focus on hard sources of power to explain why international institutions do, or do not, adapt to shifts in the balance of power among their members. This article argues that, in the wake of such a shift in the balance between emerging and established powers, institutional adaptations depend on both their hard and soft power resources. Soft power matters for institutional adaptations because both emerging and established powers have to justify the use of hard power to their respective audiences. Whether emerging or established powers are able to use the hard power they have depends crucially on rhetorical resources, such as claims of legitimacy and their (transnational) societal resonance. We provide empirical support for our argument through an analysis of the adaptation of the Trade-Related Aspects of International Property Rights agreement and the adaptation of the Convention on Biological Diversity. Emerging powers such as Brazil, India and South Africa were able to bring about institutional adaptations because they not only had the hard power to undermine the respective institutions, but could also build on civil society support that legitimized their demands or constrained established states’ use of hard power to fend off their demands. Rainer Hülsse 2017: The Money Mule. 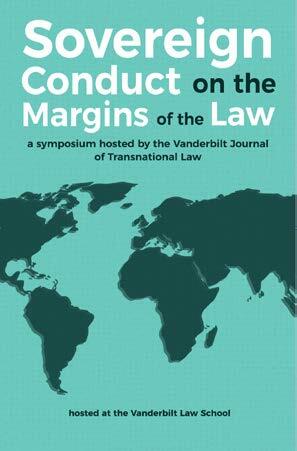 Its Discursive Construction and the Implications, in: Vanderbilt Journal of Transnational Law, 50:4. The proceeds of cybercrime are typically laundered by money mules—people used by criminal organizations to interrupt the financial paper trail by transfering money for the criminals. This Article analyzes the discursive construction of the money mule in documents of national and international anti-money laundering authorities such as Financial Intelligence Units (FIUs), Europol, and the Financial Action Task Force (FATF). It shows how case study narratives, visualizations, and metaphors contribute to an understanding of the money mule as an innocent victim of organized crime networks from West Africa and Eastern Europe, supported by money remittance companies like Western Union. These constructions have several implications: First, they make awareness-raising campaigns the key policy response “at home” (i.e., in countries in the North and West). Second, they imply a policy reaction of playing tough with „sovereigns on the margins of the law“ deemed “abroad” (i.e., countries in the South and East). And third, they direct blame and responsibility towards financial transmitters, but they let banks get away. 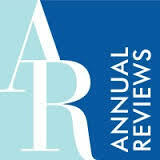 Kruck, Andreas 2017: Asymmetry in Empowering and Disempowering Private Intermediaries: The Case if Credit Rating Agencies, in: The ANNALS of the American Academy of Political and Social Science, 670:1, 133-151. This article analyzes the empowerment and disempowerment of credit rating agencies (CRAs) as private regulatory intermediaries. Until the recent financial crisis, regulators heavily relied on private credit ratings to impose risk-sensitive requirements on financial market actors (targets). Regulatory use of credit ratings was instrumental in empowering CRAs because regulatory authority was delegated to them and their own private power was bolstered by public endorsement. But regulators’ subsequent efforts to disempower the CRAs – more recently regarded as dysfunctional “runaway” intermediaries – have proven costly, complicated to do, and hardly consequential in limiting CRAs’ de facto power. This dynamic reveals a path-depent power shift in favor of private intermediaries that is more pronounced (1) the larger the intermediary’s own sources of power when an RIT arrangement is established, (2) the larger the transfer of authority to the intermediary, and (3) the longer regulators rely on the intermediary. Kruck, Andreas (Editor) 2017: Researching Non-State Actors in International Security. Theory and Practice, London: Routledge (mit Andrea Schneiker). All researchers face the same challenge, not only must they identify a suitable method for analysing their research question, they must also apply it. This volume prepares students and scholars for the key challenges they confront when using social-science methods in their own research. To bridge the gap between knowing methods and actually employing them, the book not only introduces a broad range of interpretive and explanatory methods, it also discusses their practical application. Contributors reflect on how they have used methods, or combinations of methods, such as narrative analysis, interviews, qualitative comparative analysis (QCA), case studies, experiments or participant observation in their own research on non-state actors in international security. Moreover, experts on the relevant methods discuss these applications as well as the merits and limitations of the various methods in use. Research on non-state actors in international security provides ample challenges and opportunities to probe different methodological approaches. It is thus particularly instructive for students and scholars seeking insights on how to best use particular methods for their research projects in International Relations (IR), security studies and neighbouring disciplines. It also offers an innovative laboratory for developing new research techniques and engaging in unconventional combinations of methods. van Meegdenburg, Hilde (im Erscheinen): ‘We don’t do that’. 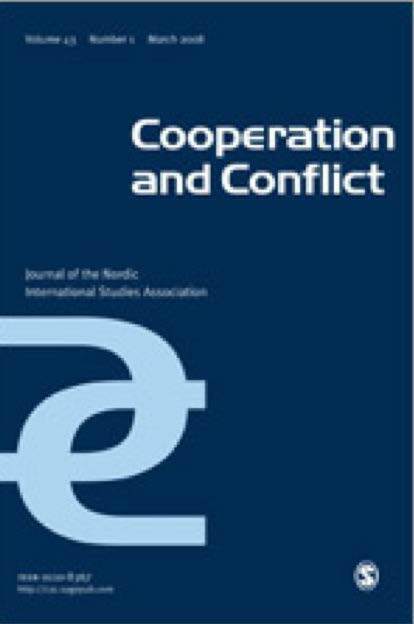 A Constructivist Perspective on the Use and Non-use of Private Military Contractors by Denmark, in: Cooperation and Conflict. 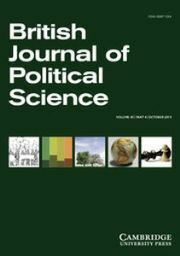 In this article I put forward a sociological understanding of Private Military and Security Contractors (PMSCs). I will argue and show that, more than a logical solution to a functional problem, states’ outsourcing decisions and engagements with PMSCs are (co-)shaped by shared values and collective understandings and dispositions. To illustrate this, I take two empirical steps: 1) I provide a detailed overview of the extent of domestic and deployed contracting by the Danish Defence; and 2) based on a number of semi-structured interviews with Danish politicians, civil servants, and officers I highlight two particular understandings (or narratives) that seem to have been most salient, shaping how PMSCs and the option to contract out came to be understood in Denmark. By so doing this article aims to go beyond the often times macro-level and functional arguments in the literature and argues that in Denmark the use of PMSCs remains limited because it is largely perceived as inappropriate and incompatible with what it means to be ‘Danish’. Despite the empirical focus on the single case, the framework put forward offers a perspective on outsourcing decisions by states that is more broadly applicable and opens new avenues for research. 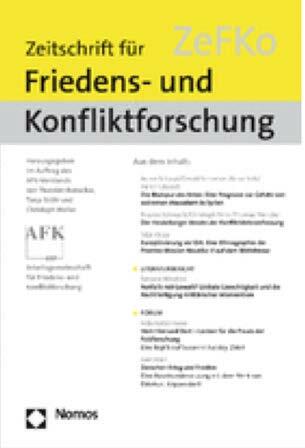 van Meeg denburg, Hilde 2017: Nachfrage aus dem ‘Westen’ trifft Arbeit aus dem ‘Süden’: PMSCs und der Einsatz von internationalen ‘labour supply chains’ in der westlichen Kriegsführung, in: Zeitschrift Für Friedens- und Konfliktforschung, 6:2, 289-308. Private Militär- und Sicherheitsunternehmen (PMSCs) haben in den letzten Jahren viel Aufmerksamkeit erregt. Allerdings wurden sie bislang meist als Sicherheitsdienstleister angesehen und hinsichtlich ihrer Verantwortlichkeitsproblematik diskutiert. In diesem Essay beleuchte ich einen anderen, jedoch sehr wichtigen, Aspekt von PMSCs: Ihre Funktion als Arbeitsvermittler und die Bildung von internationalen Zuliefererketten von Arbeitskräften. Da die Nachfrage nach militärischen und unterstützenden Dienstleistungen größtenteils durch Arbeitskraft aus dem Globalen Süden sichergestellt wird, konzentriere ich mich auf zwei Aspekte: (1) die Rekrutierungspraktiken von PMSCs und die Nutzung des globalen Reservoirs von Arbeitskräften; sowie (2) die Beschäftigung und Arbeitsbedingungen von Drittstaatenangehörigen in Afghanistan und dem Irak. Um die Beschäftigung von Drittstaatenangehörigen durch PMSCs in einen breiteren Kontext zu stellen, gehe ich kurz auf die Globalisierung von Produktion und Arbeit im Allgemeinen ein und folgere anschließend, dass diese Entwicklungen die Verteilung der sozialen, physischen und wirtschaftlichen Kosten und Nutzen von Kriegen verändert. Zangl, Bernhard 2017: Where Does the Buck Stop? Explaining Public Responsibility Attributions in Complex International Institutions, in: Journal of Common Market Studies JCMS, 55:4, 909-924 (mit Berthold Rittberger, Helena Schwarzenbeck). Who is held publicly responsible for the policies of international institutions? Are member states or supranational bodies held responsible or are public responsibility attributions (PRA) untargeted? We argue that in complex policy-making systems responsibility tends to be attributed to implementing actors. When, however, a policy does not require active implementation, we expect responsibility attributions to be untargeted. To test these expectations, we analyze PRA in the European public for three EU migration policies: (1) border control policies, (2) the distribution of refugees according to the Dublin-system, and (3) socalled welfare migration facilitated by the freedom of movement principle. Our analysis corroborates that PRA reflect the structure of policy implementation: (1) PRA for EU border controls target the EU; (2) PRA for the distribution of refugees target member states; (3) PRA for welfare migration are untargeted. The paper thus highlights an accountability gap for policies that do not require implementation. Kruck, Andreas 2016: Resilient Blunderers: Credit Rating Fiascos and Rating Agencies Institutionalized Status as Private Authorities, in: Journal of European Public Policy, 23:5, 753-770. The authority of credit rating agencies (CRAs) has been surprisingly resilient even in the face of recurrent, widely recognized and severe rating failures. This contribution analyses why rating fiascos have had little impact on CRAs status as transnational private authorities. This resilience is not only owing to CRAs own (genuinely private) sources of authority. Rather, previous public authorization of CRAs as quasi-regulators and the path-dependent politics of post-fiasco re-regulation have institutionally entrenched and legitimated their status as private authorities. 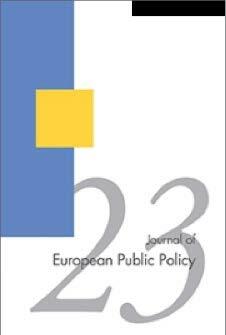 Relying on a historical institutionalist approach and focusing on the regulatory setting of the European Union (EU), the article retraces how flawed public policy choices in the past, i.e., granting CRAs a recognized regulatory role, and non-intended institutional dynamics have spawned later regulatory dilemmas in dealing with CRAs rating fiascos. Thus, CRAs recent mistakes have paradoxically fostered a progressive institutionalization rather than a downgrade of their role as private governors. r real-world problems, as well as the key limitations of each model. Among other things, orchestration is relatively more likely in democratic than authoritarian systems, when governors have limited direct capacities of their own and when veto players are more numerous. Orchestration is not always more desirable than delegation, but it provides an important alternative in some circumstances. Multiple examples from both domestic and international settings are used to illustrate this claim. The article closes with key considerations regarding the effectiveness and legitimacy of orchestration. Za ngl, Bernhard/Frederick Heußner/Andreas Kruck/Xenia Lanzendörfer 2016: Imperfect Adaptation: How the WTO and the IMF Adjust to Shifting Power Distributions among their Members, in: The Review of International Organizations, 11:2, 171-196. How do international institutions adjust to shifting power distributions among their members? We argue that institutional adaptations to the rise of emerging and the decline of established powers are different from what power transition theories (PTTs) would lead us to believe. Institutional adaptations are not impossible, as pessimist PTT variants hold; and they are rarely easy to attain, let alone perfect, as optimist PTT variants imply. To bridge the gap between these versions of PTT, we propose an institutionalist power shift theory (IPST) which combines insights on the conditions and mechanisms of institutional change from functionalist, historical and distributive variants of rational institutionalism. IPST claims that institutional adaptations will succeed or fail depending on whether or not emerging powers are able to undermine the international institution and to make credible threats to this effect. To demonstrate IPSTs plausibility we analyze: (1) how India and Brazil gained the agreement of established powers to their membership in the WTO core negotiation group (Quad), which had previously been dominated by developed countries; and (2) how China reached agreement with established powers on (more) even-handed surveillance of IMF members financial stability, which, up to then, had focused on developing countries and exchange rate issues. International Organizations as Orchestrators reveals how IOs leverage their limited authority and resources to increase their effectiveness, power, and autonomy from states. By 'orchestrating' intermediaries – including NGOs – IOs can shape and steer global governance without engaging in hard, direct regulation. This volume is organized around a theoretical model that emphasizes voluntary collaboration and support. 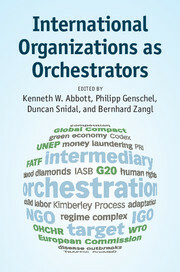 An outstanding group of scholars investigate the significance of orchestration across key issue areas, including trade, finance, environment and labor, and in leading organizations, including the GEF, G20, WTO, EU, Kimberley Process, UNEP and ILO. The empirical studies find that orchestration is pervasive. They broadly confirm the theoretical hypotheses while providing important new insights, especially that states often welcome IO orchestration as achieving governance without creating strong institutions. 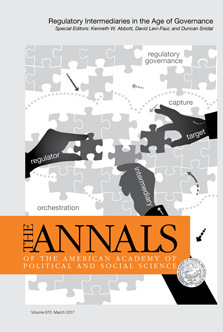 This volume changes our understanding of the relationships among IOs, nonstate actors and states in global governance, using a theoretical framework applicable to domestic governance. The most recent transformation of world order is often depicted as a shift from a Westphalian to a post-Westphalian era in which international organizations are becoming increasingly independent sites of authority. This internationalization of authority is often considered as an indication of the constitutionalization of the global legal order. However, this article highlights that international organizations can also exercise authority in an authoritarian fashion that violates the same constitutionalist principles of human rights, democracy, and the rule of law that international organizations are usually expected to promote. It is thus an open question which post-Westphalia we are in fact heading to: a constitutionalized order, an authoritarian order, or a combination of both? Based on a conceptualization of post-Westphalian orders as a two-dimensional continuum linking the ideal-typical end points of constitutionalism and authoritarianism, we analyze the United Nations security system and the European Union economic system as two post-Westphalian orders. While we find a remarkable level of constitutionalization in the European Union and incipient constitutionalist tendencies in the United Nations, we also find authoritarian sub-orders in both institutions. Most visibly, the latter can be discerned in the United Nations Security Council’s counter-terrorism policy after 9/11 and European emergency governance during the sovereign debt crisis. The article thus argues that the emerging post-Westphalian order is characterized by a plurality of fundamentally contradictory (sub-)orders coexisting in parallel. Is the state still the basic unit of political authority in OECD countries? International relations scholars discuss whether international institutions undermine or buttress state authority. Students of comparative political economy argue about the extent to which political authority has migrated to private market actors. We inventory and compare the main arguments in both debates. Our findings suggest a different pattern of state transformation than most participants in the debates implicitly assume. The key feature is not a zero-sum shift of political authority to nonstate actors but an unbundling and reconfiguration of authority. The segmental differentiation into largely self-contained national states is overlaid by a functionally differentiated order in which different dimensions of authority are exercised by different state and nonstate actors. The state remains focal, but its role changes from virtual monopolist to manager of political authority. Recent research has noted a trend of increased "politicization" of international politics, i.e., decisions of international institutions are increasingly debated and contested within civil society. What is lacking so far are expanantions for this trend. In this paper we derive four potential explanations and empirically test them. The first two, society-centered, hypotheses focus on the process of socio-economic modernization on the one hand and civil society structures on the other. The second pair of polity-centered hypotheses focuses on the decision-making power of international institutions and on their legitimacy. We measure politicization on the basis of a quantitive content analysis of US quality newspaper articles about four decisions of different international instiutions in the issue area of international taxation. Our finding ist that politicization is driven by the increasing decision making authority of international institutions rather than by the lack of legitimacy of their procedures or the factors emphasized by society-centered approaches. International organizations such as the UN, EU andIMF play an increasingly important role in international politics. Fully revised and updated,this broad-ranging text provides a systematic theoretical and empirical introduction to the structure, policies and performance of international organizations. In der Forschung herrscht Einigkeit darüber, dass wir gegenwärtig eine gesellschaftliche Politisierung der internationalen Politik erleben. Was bisher aber weitgehend fehlt, sind empirisch überprüfte Erklärungen für diesen Trend. In diesem Beitrag wird ein legitimitätszentrierter Ansatz getestet. Dieser erwartet eine Politisierung internationaler Institutionen, wenn diese den Legitimationsbedarf, der mit ihrer wachsenden Entscheidungsmacht einhergeht, nicht durch demokratische und rechtsstaatliche Entscheidungsprozeduren einfangen. Auf der Grundlage einer quantitativen Inhaltsanalyse US-amerikanischer Zeitungsartikel werden paarweise ähnliche Entscheidungen des GATT und der WTO, sowie der OECD und des „Global Forum on Taxation“ (GFT) verglichen. Es zeigt sich, dass der legitimititätszentrierte Erklärungsansatz nur teilweise erfolgreich ist. Es wird deshalb ein modifizierter Ansatz vorgeschlagen, in dem der Legitimitätsglaube nicht von der demokratischen und rechtsstaatlichen Qualität der Entscheidungsprozeduren abhängt, sondern von ihrer Vereinbarkeit mit den Prinzipien nationaler Souveränität. Over recent decades a judicialization process of international dispute settlement procedures has taken place. Yet, the judicialization of procedures remains meaningless if the procedures are not used and accepted by disputing states in practice. Prominent theoretical approaches point to different conditions under which this is to be expected. Realism emphasizes the international distribution of power, institutionalism stresses the importance of the institutional design of international dispute settlement procedures, and liberalism points to the domestic institutional setting of the participating states. The article confronts these theoretical expectations with states’ actual dispute settlement behavior in the international trade regime, the United Nations Security Council, the European human rights regime and the regime on the protection of endangered species in the 1970s/80s and 1990s/2000s, respectively. Its main finding is that, compared to realism and liberalism, institutionalism fares better in explaining the judicialization of states’ dispute settlement behavior. Die Terrorismusforschung gewinnt als eigenes Forschungsfeld der Politikwissenschaft zunehmend an Bedeutung. Nach dem 11. September 2001 wurden insbesondere im angelsächsischen Teil der Welt unzählige Bücher über das Thema verfasst, Konferenzen organisiert und neben Forschungsprojekten auch eine ganze Reihe von Fachzeitschriften ins Leben gerufen. Auch im deutschsprachigen Raum existiert eine zunehmende Anzahl von Beiträgen zum Thema ‚Terrorismus’, die sowohl traditionell positivistische als auch kritische, konstruktivistische und interdisziplinäre Ansätze verfolgen. Das Sonderheft „Terrorismusforschung in Deutschland“ der Zeitschrift für Außen- und Sicherheitspolitik (ZfAS) liefert in Form einer Bestandsaufnahme einen Überblick über diese unterschiedlichen Forschungsströmungen und beinhaltet nicht nur politikwissenschaftliche Beiträge, sondern auch Forschungsvorhaben anderer benachbarter Disziplinen wie zum Beispiel der Geschichtswissenschaft und dem Völkerrecht. Reconciliation after Terrorism brings together scholars from the hitherto disparate fields of terrorism and reconciliation studies, in order to examine whether reconciliation is a possible strategy for dealing with and ending a terrorist conflict. Although terrorist activities often play a role in situations of conflict and transition, terrorists are generally not taken into consideration as active participants by researchers and practitioners. In some cases, the terrorists turn into political actors during the reconciliation process and their past is not an issue anymore, as it was the case with the ANC in South Africa. This book examines the notion of reconciliation with terrorists from a theoretical and empirical perspective. The notion of engagement and reconciliation with terrorist groups is generally seen as problematic, if not impossible. This is somewhat surprising, given that the idea of societal reconciliation has become a common response to state terror- although not usually in situations of conflict with sub-state terrorist actors. Similar to state terror, sub-state terrorism is a sign of a deep societal rift which reconciliation measures may help to overcome. The text investigates the reconciliatory process further, raising the central questions: (a) what constitutes 'reconciliation' as a process and an outcome; and (b) how can reconciliation be facilitated in a situation of social conflict. This book will be of much interest to students of terrorism studies, transitional justice, conflict resolution, peace and conflict studies and IR in general. Aufbauend auf den Arbeiten der Bremer und Berliner Sonderforschungsbereiche fragt der Band, was der Staat in Räumen konsolidierter und begrenzter Staatlichkeit zu effektiver und legitimer Governance beiträgt: Welche Governance-Leistungen erbringt er in den Politikfeldern Sicherheit, Gesundheit, Umwelt und Finanzmärkte? Welche Governance-Beiträge kommen von nicht-staatlichen Akteuren? Welche Beziehungs- und Konfliktmuster dominieren? The history of international relations has been shaped by a sequence of ‘Great Debates’, in which leading scholars of the field advanced, challenged, and defended views about the assumptions that should inform the study of world politics. In this authoritative collection, the editors bring together for the first time the most important contributions to these inspiring intellectual exchanges and provide an excellent overview of the discipline’s development since its inception in the early 20th century. Students and scholars in international relations as well as neighboring disciplines will find these volumes to be an indispensable and highly informative source of reference. This article intends to contribute to the debate on the emergence of so-called new wars by reconstructing the new war thesis in a way that allows an empirical assessment of the plausibility of the thesis. It makes explicit the defining criteria implicit to the new war thesis which claims that a fundamental transformation of modern intra-state warfare has taken place due to the end of the Cold War. It also lays out the causal mechanisms that underpin the alleged transformation of warfare. Based on the reconstructed conceptual framework and drawing on case studies of the wars in Cambodia, Afghanistan, Angola, Somalia and Sierra Leone, the article then lends support to the new war thesis. The cases demonstrate that, in the 1990s, war economies based on criminal activities became more important and triggered the fragmentation of warring parties and the economisation of their war motives. Moreover, in combination, the fragmentation of warring parties and the economisation of their war motives facilitate the application of brutal violence against civilians. Words matter in Terrorism Research. Not only do they describe reality, but they actively take part in the construction of the world as we see, talk, hear, imagine and ultimately react to it. The Tabloid Terrorist introduces a constructivist approach to the study of terrorism by examining the discursive constitution of the terrorist in tabloid newspapers. It shows how language in the media affects our perceptions of ‘terrorists’ and how particular constructions of the ‘terrorist’ automatically make certain counter-terrorism policies possible, logical and seemingly appropriate. Immer mehr internationale Streitigkeiten werden durch gerichtliche oder gerichtsähnliche Instanzen beigelegt. Die klassische Diplomatie verliert zunehmend an Bedeutung. Sind wir auf dem Weg zu einer internationalen Rechtsherrschaft – dem Äquivalent zur nationalen Rechtsstaatlichkeit? Zur Beantwortung dieser Fragen werden zahlreiche grenzüberschreitende Streitigkeiten in der Handels-, Sicherheits-, Umwelt-, Menschenrechts- und Arbeitsschutzpolitik analysiert. Dieses Lehrbuch bietet eine verständliche und umfassende Einführung in die Grundzüge und die Analyse der heutigen Weltpolitik. Es werden die Formen von Weltregieren (Global Governance) in verschiedenen Problemfeldern aufgezeigt, ihr Auftreten erklärt und beschrieben inwiefern sie geeignet erscheinen, heutige transsouveräne Probleme effektiv und legitim zu bearbeiten. Zu diesem Zweck wird eine systematische Untersuchung des Wandels weltpolitischer Rahmenbedingungen und Akteurskonstellationen mit der theoriegeleiteten Analyse der kollektiven Bearbeitung globaler Herausforderungen in den zentralen Feldern 'Sicherheit', 'Wohlfahrt' und 'Herrschaft' verbunden. The foreign image policy of states, that is their efforts to influence how they are seen by foreign publics, is an under-researched aspect of International Relations (IR) and Foreign Policy Analysis (FPA). This is wrong, argues this article. As foreign image policy reflects states' self-understandings, its examination provides inside insights into the transformation of states. The analysis of the foreign image policy of Germany brings to light a remarkable transformation. By analyzing disputes between the United States and the EU under General Agreement on Tariffs and Trade (GATT) and the World Trade Organization (WTO) respectively, the paper demonstrates that the judicialization (or legalization) of international dispute settlement procedures (IDSPs) can contribute to states' compliance with (these) dispute settlement mechanisms. The article compares four sets of pairwise similar disputes which the United States had with the EU: the so-called Domestic International Sales Corporations case (which arose under GATT) and the Foreign Sales Corporations case (which was settled through WTO procedures), the Steel case (GATT) and the Patents case (WTO), the two Hormones cases under GATT and the WTO respectively, the Citrus case (GATT) and the Bananas case (WTO). Terrorism studies is fascinated with the terrorist actor. Though this may seem natural, the present article argues that a different perspective can be fruitful. From a constructivist point of view, terrorism is a social construction. The terrorist actor is a product of discourse, and hence discourse is the logical starting point for terrorism research. In particular, it is the discourse of the terrorists' adversaries that constitutes terrorist motivations, strategies, organizational structures and goals. Hence, the article suggests a shift of perspective in terrorism studies — from an actor-centred to a discourse-centred perspective. It develops a discourse approach that emphasizes the crucial role of metaphors in the making of reality. To illustrate this approach, the metaphorical construction of Al-Qaeda in the German popular press in the aftermath of the terrorist attacks in New York and Washington (2001), Madrid (2004) and London (2005) is analysed. Moralische Argumente in den Internationalen Beziehungen. Das handlungstheoretische Fundament der Normenforschung wurde in den deutschen IB durch die Habermas-Rezeption erheblich vorangebracht und in der ZIB-Debatte kontrovers diskutiert. Dieser Aufsatz widmet sich einer Reihe bisland vernachlässigter Probleme, die sich aus der Verschärnkung von Handlungstheorie und Moralphilosophie in der Verständigungstheorie internationaler Verhandlungen ergeben.Wo die analytische Trennung zwischen normativer Begründung und empirischer Rekonstruktion aufgehoben wird, drohen nicht nur handlungstheoretische und empirische Verzerrungen, sondern auch eine Preisgabe kritischen Potenzials.